Earl Thomas Conley. His 18 Number One Hits and Two Unforgettable Number 2! (Part I) - Newhillbilly website. 100% American Roots Music. Earl Thomas Conley has passed away this month. Conley was a fantastic singer and composer and released an incredible string of hits throughout the 1980s, 18 of them reached Number One. He also wrote Conway Twitty's "This Time I've Hurt Her More Than She Loves" in 1970 which reach No. 1. This is his legacy. "Fire and Smoke" is a song written and recorded by American country music singer Earl Thomas Conley. It was released in April 1981 as the second single and title track from the album Fire and Smoke. The song was Conley's fourth top 40 country hit, and continued his recent run of success, which had started with the previous single, "Silent Treatment" (his first top 10 hit on the Billboard Hot Country Singles chart in the fall of 1980). "Fire and Smoke" topped the success of "Silent Treatment,". The single was his first No. 1 hit in July 1981 and spent 14 weeks in the top 40 country chart. "Holding Her and Loving You" is a song written by Walt Aldridge and Tom Brasfield and recorded by American country music artist Earl Thomas Conley. It was released in August 1983 as the second single from the album, Don't Make It Easy for Me. 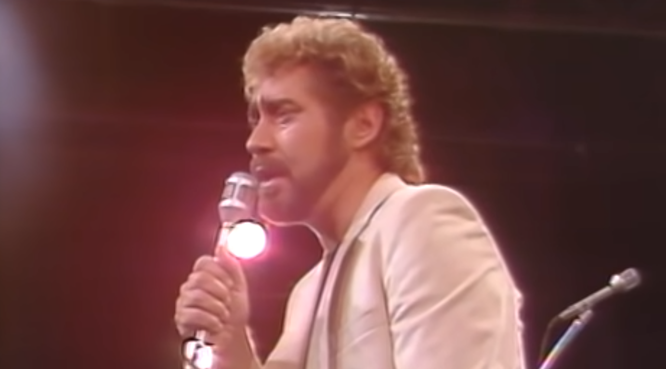 The song was Earl Thomas Conley's fourth number one country single. The single went to number one for one week and spent a total of fourteen weeks on the country chart. "Don't Make It Easy for Me" is a song co-written and recorded by American country music artist Earl Thomas Conley. It was released in January 1984 as the third single and title track from the album Don't Make It Easy for Me. The song was Earl Thomas Conley's fifth number one country hit. The single went to number one for one week and spent a total of twelve weeks on the country chart. The song was written by Conley and Randy Scruggs.